We believe that there is a need for a magazine that, first and foremost, gives new and emerging writers an opportunity to get their work out into the world. We are particularly concerned to provide an outlet for short story writers: each issue features several short stories and we also devote entire issues to new fiction when the mood takes us. 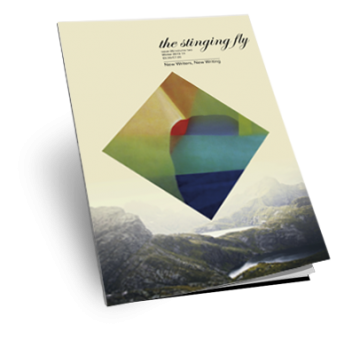 Over the years The Stinging Fly has published new work by a number of highly acclaimed Irish and international writers: people like Simon Armitage, Philip Casey, Emma Donoghue, Eamon Grennan, Kerry Hardie, Michael Harding, Claire Keegan, James Kelman, A.L. Kennedy, Toby Litt, Medbh McGuckian, Paula Meehan, Sinéad Morrissey, Philip Ó Ceallaigh, Dennis O’Driscoll, Sharon Olds, Keith Ridgway and C.K. Stead. We publish three issues of the magazine each year. Submission guidelines can be found here. 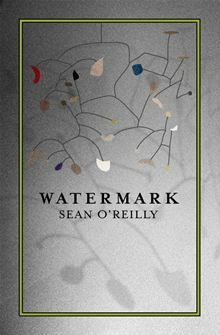 The Stinging Fly Press imprint was launched in May 2005 with the publication of our first title, Watermark by Sean O’Reilly. Like the magazine, the imprint is dedicated to publishing the very best new Irish literary fiction, and is particularly interested in promoting the short story. In 2007 we published the Rooney Prize-winning short story collection, There Are Little Kingdoms by Kevin Barry, and in 2009, Life in The Universe by Michael J. Farrell. 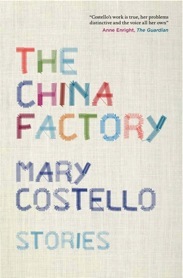 We published the highly-acclaimed The China Factory by Mary Costello in 2012, and our latest book is Young Skins by Colin Barrett (September 2013). In addition to these titles, we have published a number of short story anthologies.